Jabiru is a town in the Northern Territory of Australia. Jabiru (Kakadu National Park) is known for nature, wildlife, outdoors, and trails. 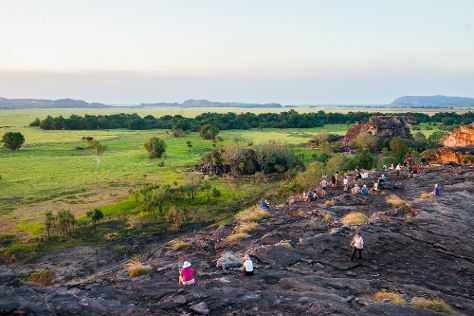 Your plan includes some of its best attractions: make a trip to Ubirr, identify plant and animal life at Anbangbang Billabong, explore the striking landscape at Nourlangie Rock, and contemplate the long history of Nourlangie Rock. Use Inspirock's suggestions to plan your Jabiru (Kakadu National Park) trip and find the best activities and attractions for your vacation. If you are flying in from Canada, the closest major airport is Darwin International Airport. Finish your sightseeing early on the 13th (Tue) to allow enough time to travel back home.